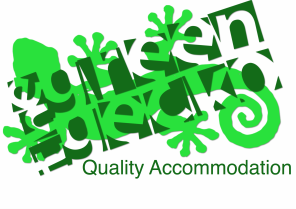 Ashburton Accommodation - The Green Gecko - Ashburton Accommodation. Accommodation Ashburton The Green Gecko Apartment - Ashburton. Accommodation Ashburton - The Green Gecko - Apartment, Ashburton, NZ. Ideally suited for singles or couples with the option of sleeping up to 5 guests. The apartment is extremely warm, modern, fresh and very comfortable. Enjoy the large SUPER KING bed, the warmth of the heat pump, entertainment from the Sky TV and home theatre system and convenience of Free WIFI. Full self service laundry available. The Green Gecko Apartment is located a short drive off the main road offering guests staying in Ashburton a quiet restful break. Very little road noise and no rail rumblings. ​Located on a quiet Allenton family friendly street with the Allenton Shops only 50 metres away with the added convenience of a Four Square, Dairy, Chemist, Fish & Chips, Butcher plus the popular Bedrock Cafe offering lunches and evening meals. Plenty of off-street parking with garaging available upon request. Bed sette in lounge area. Accommodation Ashburton The Green Gecko Apartment - Ashburton.